Anyone can join us in the fight against leukemia with a voluntary work as a volunteer or through a donation. A donation of 40 Euros can finance the tissue typing of a new bone marrow donor volunteer. The Foundation aims to tissue type 5-10,000 volunteer donors annually. Any business or social group can support us, depending on the group’s interests or the culture and corporate identity of their organization, through specific activities carried out in collaboration with the Karaiskakio Foundation. There is always a continuous need for new equipment. The purchase of a high value specialized analyzer or a piece of laboratory equipment of lesser value can be financed. With the constant development and expansion of the Foundation’s activities, there is a continuous need for laboratory and other skilled personnel. You as an organization can finance new scientific personnel. The continued growth and expansion of the scientific activities of the Foundation is based on applied research projects. Funding the research activities of the Foundation, can contribute towards the introduction of new technology and know-how at the service of the patients. One of the key priorities of the Foundation is the continuous development of human resources. You can contribute towards this field, by funding various educational activities of the Foundation such as participation in international conferences, exchange of personnel with international partners, organizing educational seminars/training. 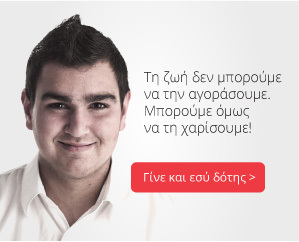 To support the Karaiskakio Foundation you can make your donation here or communicate with us.